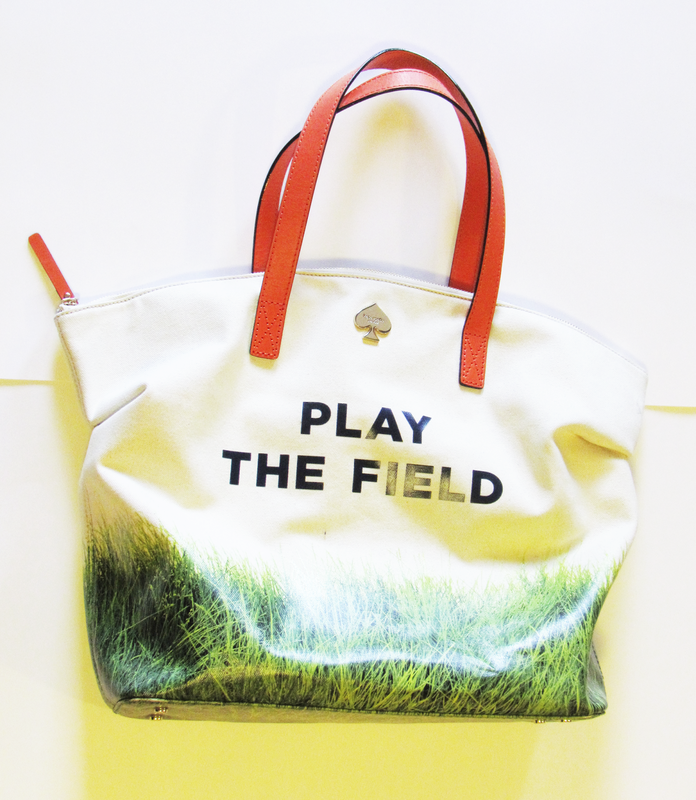 My bag is the Call To Action "Play The Field" Terry from Kate Spade and the matching pouch is called the Gia I believe. 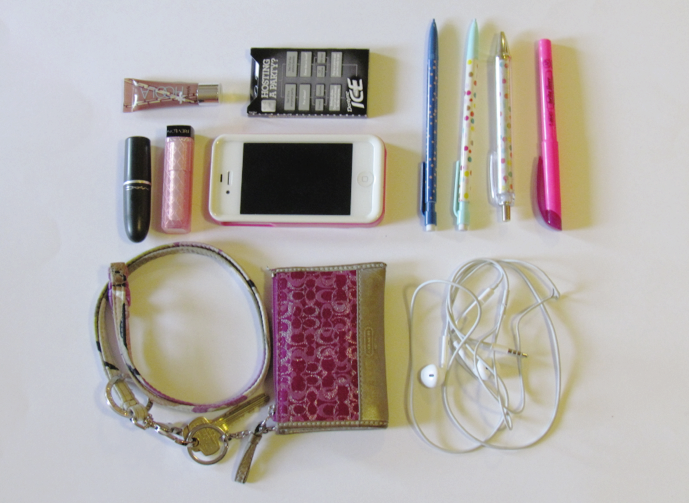 Inside the Gia pouch: Lip products (Benefit Hoola lipgloss, Revlon Pink Lemonade lip butter, and MAC Party Parrot lipstick), gum, iPhone, pens, pencils, and highlighters, my lanyard with my keys and ID holder, and last, but most certainly not least, my headphones. 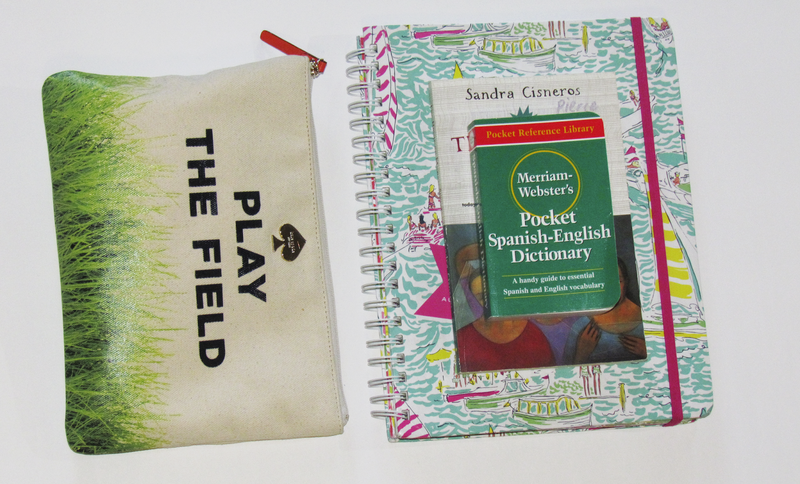 What's the weirdest thing in your schoolbag? I usually have an apple or two in there if I happen to swipe some from the cafeteria. In my defense, I pay a lot to eat there and never get my moneys worth…until I take the fruit.